Shopping has always been a fun activity from the early days. Be it shopping for the family, shopping for oneself it gives pleasure to both the parties i.e. one who is buying as well as the seller. Shopping is the time where one enjoys the time with family, friends or just oneself. Shopping allows us a time to choose, to think to select and rethink over our decisions whether to buy an item or not. Another tern that is connected with shopping is ‘bargaining’. ‘Bargaining’ is the common settlement on the price of an item brought about by a discussion between the customer and the seller. Sometimes these discussions don’t remain only discussions they reach the level of arguments! Malls, shops, departmental stores were the common places where people went for shopping. But with the advent of latest technology shopping has shifted from malls and mega marts to the 5 inch or 7 inch screens of our smart phones, tablets or computers… just a scroll through the websites and whatever you want is presented right in front of you! Weird as it may seem online shopping is raging nowadays, with new websites opening every day. Different websites selling specific items. Whether its pepperfry selling customized furniture, jabong, myntra selling clothes or Amazon selling items of daily use, you have it all! “Whoever said money can’t buy happiness, didn’t know where to shop”. Like everything has its pros and cons. Even online shopping has both its advantages and disadvantages. Speaking of advantages online shopping comes with innumerable benefits that are hard to list. What are they? Buying is faster and easier. Payments are smooth as butter. You can pay through online transactions or just do a cash on delivery to be sure. There are so many choosing options. You can see the prices offered by different sellers. Packages reach at your doorsteps. No need to toil hard to go to any store. Didn’t like the item? Size or fit issue? You can easy return them and get a refund or an exchange. You can fill in specifications as to the product type, fittings, price range, color and much more, and the most relevant product will be selected from the store and displayed in front of your eyes. There are some websites even that allows the customers to directly talk to the seller and bargain about the price or customize the item according to his/her liking. Cash problem? Nowadays certain e-commerce websites have started a feature where even COD orders can be paid off by cash or card. Many sellers who have come to turned out to be frauds. They don’t sell original or genuine items rather they sell duplicate items which stops working within a few months after purchase. Faulty items when returned back, the customers don’t get refund; money is forfeited, and even if it is refunded its takes a long time to get processed. Delayed deliveries have always been a hassle. Sometimes during online money transactions the amount gets debited but the order is not placed. Hence disappointment to its utmost extent! Delivery charges include hidden charges. Too high a delivery charge is often disheartening. Products sometimes have hidden conditions about its exchange, warranty and refundability. Customers face trouble returning it once it is bought. Hackers are omnipresent! People have to be very careful very sharing bank information. There have been cases where the bank information have been leaked and money has been drawn out from the bank. Zero balance is the ultimate result! Many websites claim to sell 100% original products but when the products reaches the customers it turns out to second hand or in used condition. Every item been it big or small has its effects and defects. It is we who have to be careful. Such bad situations can be avoided very easily through some carefulness and logical decision making. Buy the assured products as much as possible. You will see tags as ‘Flipkart assured’ etc. it means that the products have been checked and verified by the e-commerce websites. Those products are safer to buy as they don’t create much hassle during returns. Keep bank information as much secret as possible. 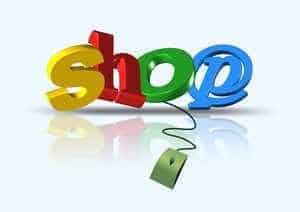 Buy only from famous e-commerce sites. Those which have a good customer reviews. Read the item description and its specification properly before buying. It will save you from buying fake products. Search for hidden terms and conditions, hidden costs before buying. Lodge a complaint immediately in the customer support portal of the e commerce website regarding any problem. It gets solved within 24-48 hours. COD orders are the safest of all. Keep these in mind and you are good to go! Happy Shopping!